Pledge events are simple, fun and effective ways you can raise money. You choose your personal challenge… Complete a long run, walk, hike, or bike ride? Swim across the lake? Polar bear dip? Marathon game of Monopoly? Do something on your bucket list… and raise money for peace at the same time. 4. Do it! And have fun. So many ways to raise money and support Pragmora’s work for peace. 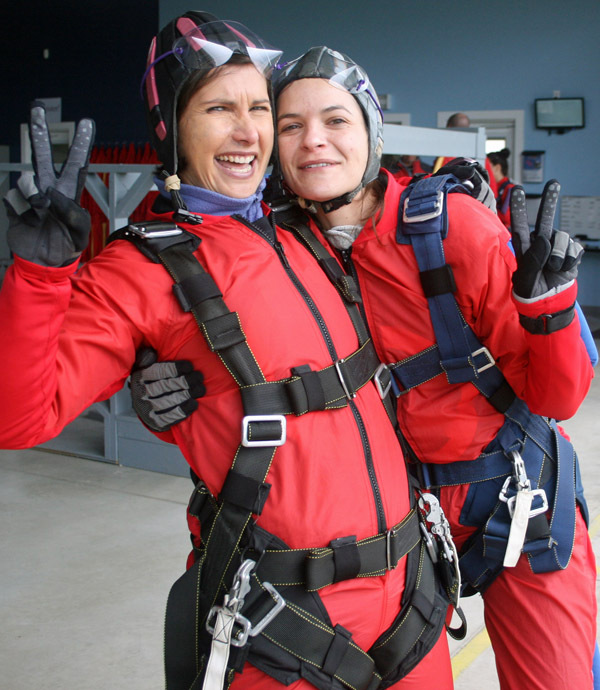 Glenys and Anna skydive for peace. All in ! We can help make your fundraising event a big success! 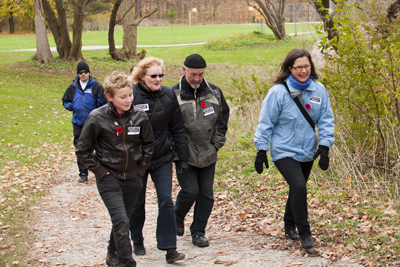 This year’s annual LestWe4Get international walk for peace will take place on Sunday November 8, 2014. More information will be available in May.